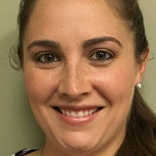 Fall is a beautiful time of the year and one of the things New Englanders look forward to is the foliage; one thing they don’t look forward to, is raking leaves. Some of you have gone out to rake leaves and the next day have developed a strain or injury to your back, shoulders, or wrists. • Warm-up is Essential: First things first, raking leaves is an actual work out and it’s important to incorporate a light warm-up and some light stretching before you begin. 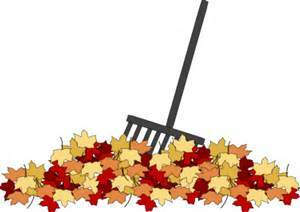 • Avoid Twisting: Raking leaves requires a variety of movements that include, twisting, bending, lifting and reaching. Twisting is one of the movements you should try to avoid. Instead, keep a straight back, engage your core and use your legs to assist in shifting your weight. Avoid throwing a bag of leaves over your shoulder or to the side as this twisting motion can also strain the back. 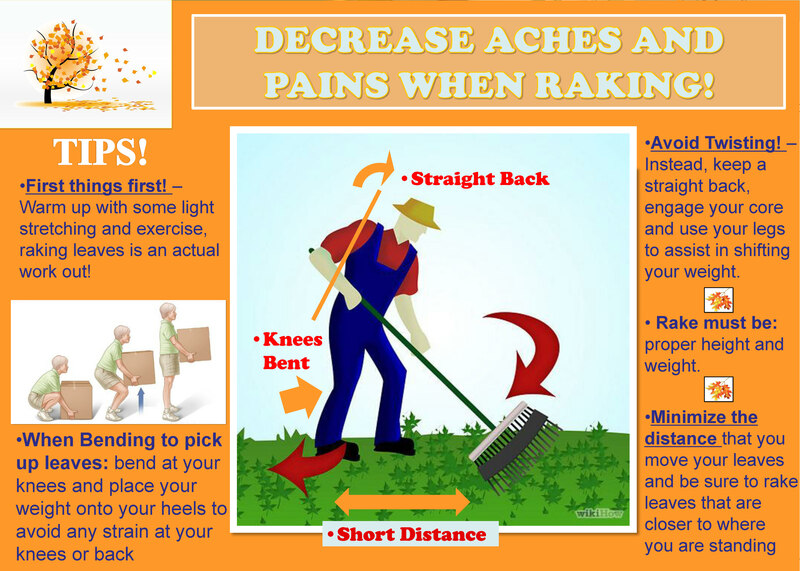 • Proper Rake Height: Make sure that the rake you are using is of the proper height and weight. If the rake is too short you could strain your back and if it’s too heavy it will produce added strain at the neck shoulders and wrists. • Minimize the distance that you move your leaves and be sure to rake leaves that are closer to where you are standing. When we work closer to our body we have more control and increased strength, which allows for a circumference where strain and/or injury will be decreased. • Bend Properly: When bending over to pick up or move a pile of leaves it’s important to bend at your knees and place your weight onto your heels to avoid any strain at your knees or back. • Take Breaks: Make sure you take adequate breaks and know when it’s time to stop. The raking doesn’t have to be done all in one day. 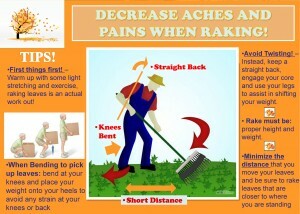 Remember the weather can also affect your raking. • When it is windy out make sure to rake in the same direction that the wind is blowing to save you some energy. • Also try not to rake when it has just rained and the leaves are wet. The water will significantly increase the weight of the leaves that you are trying to move and will make this project even less fun. These tips will not only save you time but energy. 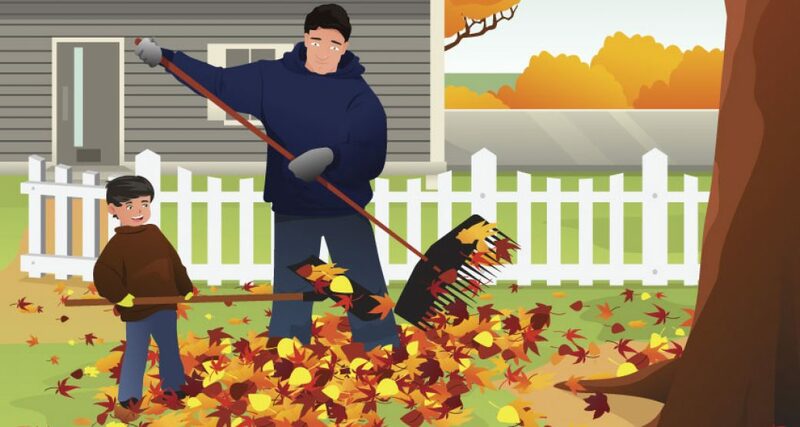 Rake smarter not harder, and avoid injury as we head into this beautiful fall weather! Click on the graphic below for more information on Proper Raking Form.